Hyperscale cloud providers gain market dominance as organisations turn to public cloud solutions. 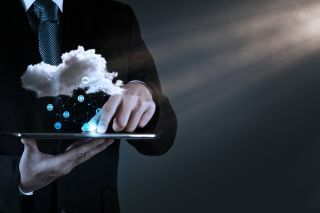 As more businesses turn to public cloud solutions to run applications and store data, Gartner projects that the worldwide public cloud services market will grow by 21.4 per cent this year to reach $186.4bn. This a significant increase from 2017 where it stood at $153.5bn and by 2021 the firm predicts that public cloud service revenue could reach as high as 302.5bn. The fastest-growing segment of the market is cloud system infrastructure services (IaaS) which is forecast to grow by 35.9 per cent in 2018 to reach $40.8bn by the end of the year. Gartner also predicts that the top 10 providers will account for almost 70 per cent of the IaaS market by 2021 which is a 50 per cent increase from 2016. The largest segment of the cloud market is still software as a service (SaaS) with revenue forecast to grow 22.2 per cent to reach $73.6bn in 2018. By 2021, Gartner expects SaaS to reach 45 per cent of total application software spending. Database platform as a service (dbPaaS) is the fastest-growing segment within the platform as a service (PaaS) category and it is expected to reach almost $10bn by 2021. As this segment has grown in popularity, hyperscale cloud providers are including it in their offerings to extend their range of services. Public cloud services have been adopted by organisations throughout the world and it appears that trend will likely continue going forward.